The purpose of this development is to improve the relationship between insurers, health care service providers and their affiliates and the patients to strengthen the self-care and to improve the risk prediction of the covered population. It is useful in healthy populations with some level of exposure and among sick population. -What hidden health risk does the non consulting population have? -What risk factors are prevalent in the healthy population? -What risk factors does the sick population have that may increase their severity? -How much does the patient stick to his/her self-care program? -It answers users’ questions on their habits and practices. 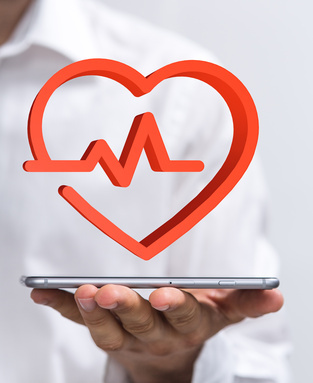 -It supports the patient in monitoring the illness while seeking greater adherence to treatment as well as a better clinical condition and a reduction of hospitalization, ICU’s and emergency costs.